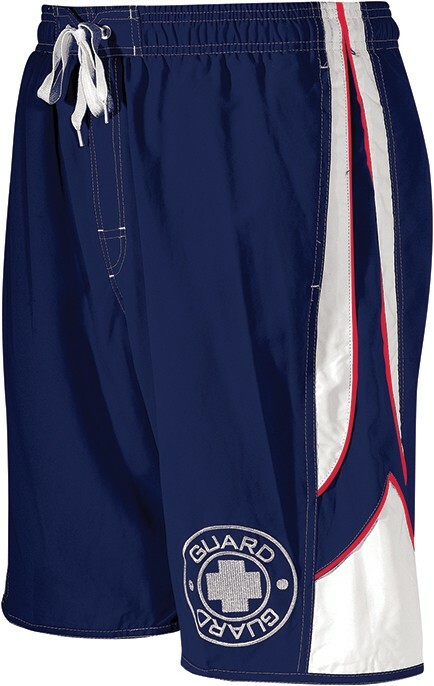 The Men's Guard Aero Trunks showcase 100% Sanded Polyester construction for luxurious comfort and accelerated dry time. 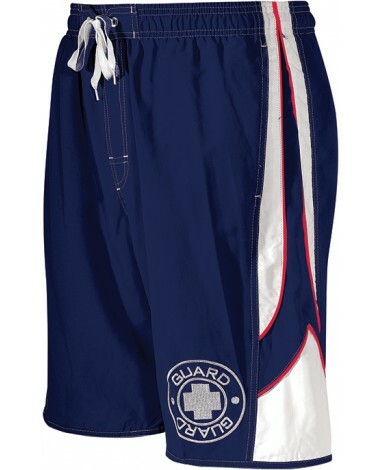 Engineered for lifeguards, the TGTR5A Aero Trunks feature an elastic waistband with drawstring closure for custom fitting and a 9.5" Base Inseam to allow for added leg coverage. A built-in liner provides support, while a left leg Guard Logo increases visibility to separate you from the crowd and authenticate your role. Safety's first, but style and performance matters. 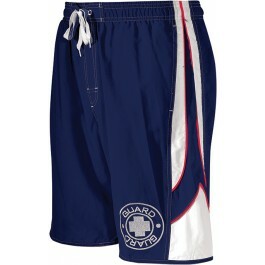 *Color - 401 Navy: Red Piping around the inserts. Q: what is the liner like? Mesh, or solid polyester--like nonetz or coastal dog swim trunks?